Update: TreoCentral forum member Jimh2000 wrote in to let us know that Best Buy does have the refreshed Black Centro with 128MB of memory. The Black Centro's body is the slick version though and not the soft-touch, rubberized casing. Jimh2000 said that Sprint told him they had several thousand old Centro's in the warehouse and would not sell the new black one until the existing stock was reduced. Remember those two new Centro's in the pretty olive green and rose for Sprint? Those two new colors were a refresh with expanded memory of 128MB, soft-touch paint, revised "gel" keyboard, Palm's Facebook app, and Google Maps My Location feature. Well, Palm Infocenter is reporting that there's a leaked upcoming Best Buy retail store flyer showing that the refreshed 128MB Centro is available for Free with contract, in-store at Best Buy. According to PIC, the Best Buy ad makes it appear that the black Centro which is also offered, is the refreshed version. The black Centro on Sprint is supposed to eventually be updated with the same specs that the rose and olive green Centro's have, but of course that hasn't happened yet. The Best Buy's SKU number listed for the black Centro (9057183) shows that it's still the original black Centro with 64MB. If you're an existing customer who is eligible for upgrade pricing by signing a new contract, you can get the olive green or rose Centro for only $19.95. This price will be in effect from Sunday, January 18th through Saturday, January 24th. You'll need to check for availability in the Best Buy store in your region. 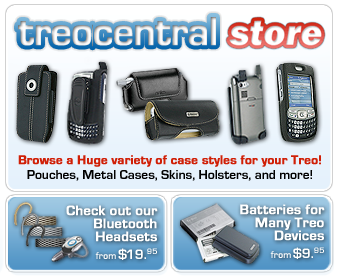 Speaking of Best Buy, Dieter let us know over at our new sister site, PreCentral.net that rumor has it Best Buy will be the exclusive retailer of the Palm Pre for the first 60 days.